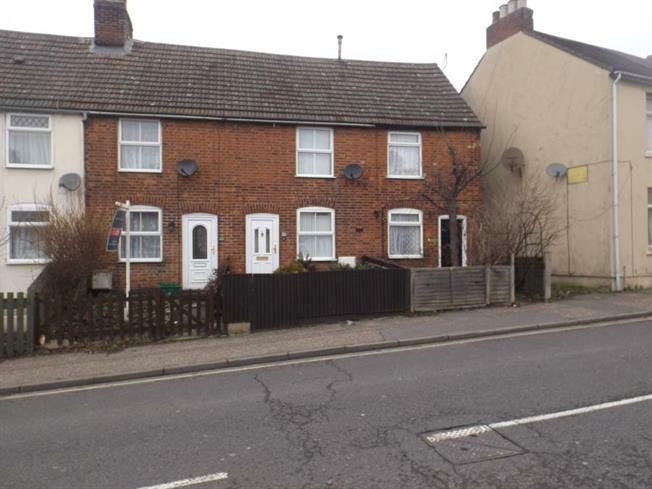 1 Bedroom House For Sale in Colchester for Asking Price £130,000. A great opportunity to acquire this one bedroom terraced property, with good size garden, and parking to rear. This freehold property is situated within walking distance of Colchester town centre, and train station, and there is no onward chain. Window to rear, stairs leading to first floor,door leading to garden, range of waal and base units. Newly refurbished batheroom, low level W.C fitted bath with pannel, sink and peddel stole.